to large concert-venues as free leaflets. These leaflets are only sent to institutions in relevant areas, with their agreement. "Folk What's On" - the cover, below. 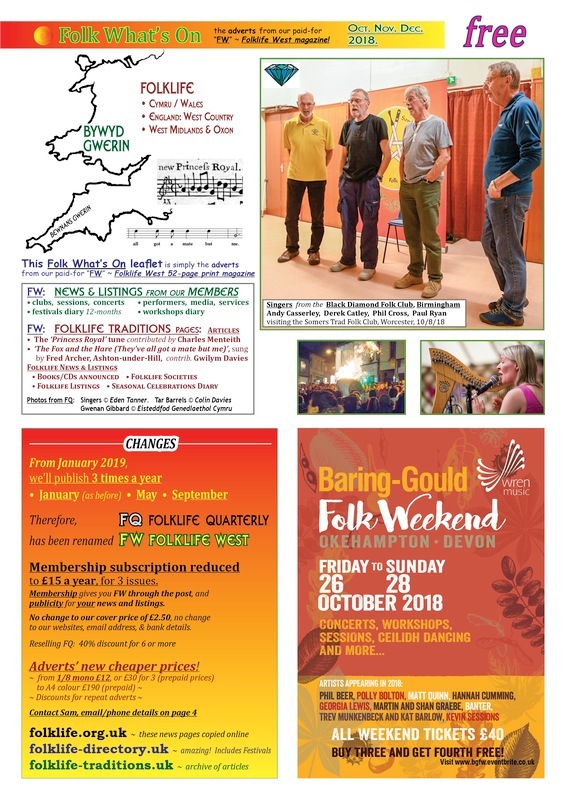 "Folk What's On" - the free download, and the emag, below.